We organise led cycle rides from Colchester every Sunday and we welcome you to join us. 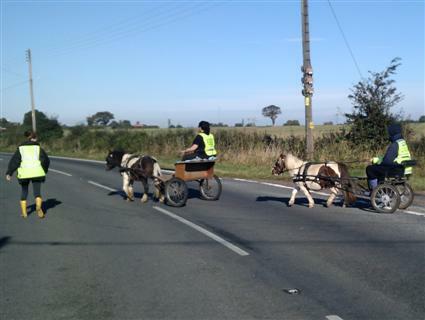 Our rides have two breaks for refreshments: elevenses at a cafe or nursery, and lunch usually at a pub (the destination). Routes are mostly along quiet country lanes where we can best enjoy the fine countryside there is around Colchester. While the pace is easy, the conversation is lively! Colchester Cycling UK is an ‘Informal Member Group’ of Cycling UK, operating under the umbrella of the Essex CTC Member Group. Whilst cycling with Colchester Cycling UK is entirely free, regulars are encouraged to become full members of Cycling UK (then reap the benefits). Cycling UK (the trading name of Cyclists’ Touring Club, or CTC) is the country’s largest cycling charity, inspires and helps people to cycle and keep cycling. Whatever age, ability, or cycling discipline, Cycling UK will enhance the experience. Third-party insurance and a bi-monthly magazine are just two of the many membership benefits. Members of Cycling UK are allocated to a local group which organise rides and provide the opportunity to cycle with others. The Essex branch was established in 1927 and currently caters for more then 1,600 members. In BST rides leave at 9:00 am. See the Runs List for more detail.